Google AdSense, an ultimate source of income to all the bloggers. Do you know that Google AdSense serves only for few languages(content language in a blog)? Yes, there are few languages that Google AdSense supports. Lately, Google AdSense spread its services to few more languages and they are also included in this list. Blogs or websites with only these languages are eligible to apply and get an AdSense approval. Do you want to know what are all the languages are supported by AdSense network? If so, you have to read the following list. Also, bookmark this article for the future reference. 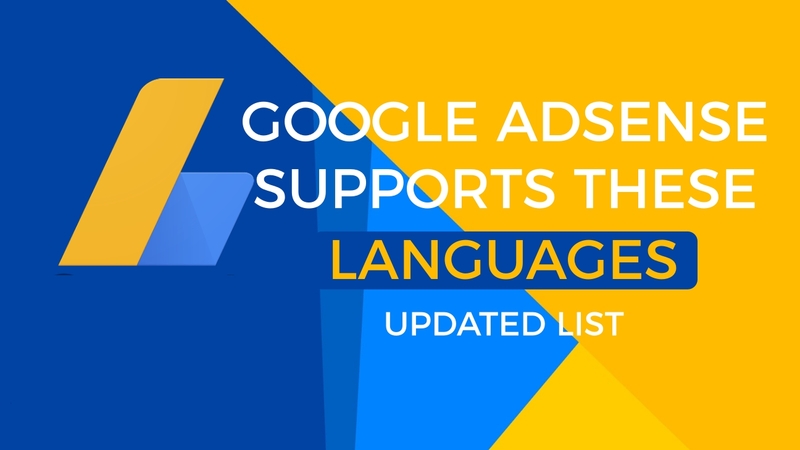 Whenever there is an update on languages that Google AdSense supports, we will update this list immediately. Till now there are totally 44 languages that Google AdSense serves ads. Check out the list if your language is one of them or not. I think most of us do not really know the complete list of the languages which are supported by AdSense. If you are one of them then this is for you. Let us get into the list below. Only these 44 languages are eligible for Google AdSense approval. If you have blog or website in any of these languages, then you are eligible to get an AdSense account on your own. * At present, AdSense only supports ad serving in this language. The AdSense product interface and Help Center are not currently available in this language. You can select your site’s primary language during the application process. If your account is approved, AdSense will serve relevant ads to your pages in the appropriate language, even if your site contains multiple supported languages. Note that placing AdSense ad code on pages with content primarily in an unsupported language is not permitted by the AdSense program policies. This leads to banning of your account. So make sure that you take a good care of your AdSense account. I hope this article will help you to learn which languages are eligible and which are not eligible for an AdSense account. If you have any other queries regarding this article or any AdSense related, ask us in the comment section below. We will get back to you as soon as possible to solve all your questions. Are you new to Google AdSense? Then here’s the step by step procedure to apply for Google AdSense account with your website or blog. What is the language of your website? what if i got banned from google? can i apply for new adsense account with different email? plz tel me if there is any alternative way to participate again in this program.. Depends on the reason why exactly your AdSense account is banned.